There are many ways of embedding a 4D spacetime in a given higher-dimensional manifold while satisfying the field equations. In this work, we extend and generalize a recent paper by Mashhoon and Wesson (Gen. Rel. Grav. 39, 1403 (2007)) by showing different ways of embedding a solution to the 4D Einstein equations in vacuum with a cosmological constant, in a Ricci-flat as well as anti-de Sitter 5D manifold. These embeddings lead to different physics in 4D, in particular, to non-equivalent cosmological terms as functions of the extra coordinate. 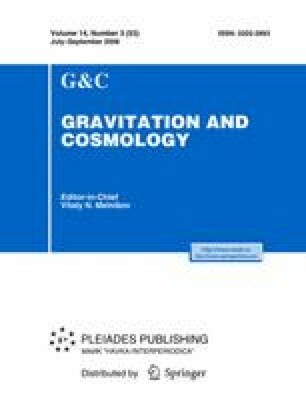 We study themotion of test particles for different embeddings and show that there is a complete equivalence between several definitions of the effective mass of test particles measured in 4D, obtained from different theoretical approaches like the Hamilton-Jacobi formalism and the least action principle. For the case under consideration, we find that the effective mass observed in 4D is the same regardless of whether we consider null or non-null motion in 5D.